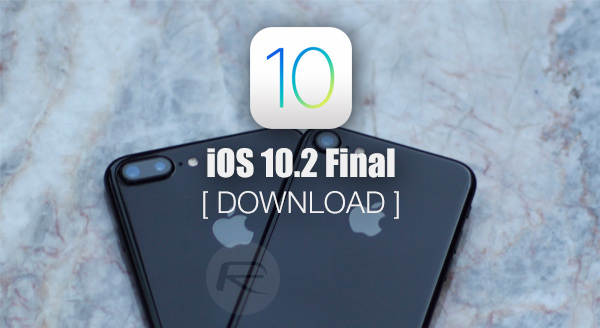 You can now download and install iOS 10.2 final version IPSW links for iPhone and iPad. Below we have all the details on the release. iOS 10.2 has been around for some time now as subsequent beta releases meant for both registered developers and public testers. Having arrived over five weeks ago in beta, iOS 10.2 is now ready for mass public consumption, and lucky for us iOS fans, the latest version of Apple’s mobile platform come packing with some goodies. Rather than focusing purely on building in performance enhancements and stability improvements, Apple has actually taken the initiative by introducing new functionality for users to interact with, as well as new features and inclusions that could actually make iOS 10 feel fresh and new once again. For the iOS device owners amongst us who like a visual treat, Apple has taken the opportunity to bundle in the three wallpapers that were used as part of the iPhone 7 marketing campaigns. There’s also the integration of Unicode 9 into iOS 10, which instantly means that communication fans can benefit from a number of new and refreshed emoji characters. Apple has also brought a number of new full-screen effects into the revamped Messages app. If communication isn’t your thing, and you are much more of a visual media person, then you can officially welcome the TV app – replacing the Videos app – into the picture with an accompanying TV widget for quick access of content. There are also changes to the internal Music app, manifested by UI changes and improvements on some of the most commonly used controls. For those that may be based in India, then iOS 10.2 also brings a new little panic button feature to ensure that it falls in line with new legislation introduced into the country. This feature basically means that users are able to instantly call the emergency services with a simple single press of a button. There are also some notable improvements to the Medical experience within iOS, meaning that users can also now add in an emergency contact if one should ever be needed. Anyone with a compatible iPhone, iPad, or iPod touch, who wants to be at the forefront of the iOS experience on that device, can grab the latest available update right now by heading over to the native Settings app, and navigating to General > Software Update to initiate the update process. If the update isn’t currently showing for you, then worry not as it could just be propagating through Apple’s release servers. Keep trying and that over-the-air update shall come. As for those who are more inclined at a clean install of iOS 10.2 on their iOS device via iTunes, the IPSW files can be downloaded from the links below. 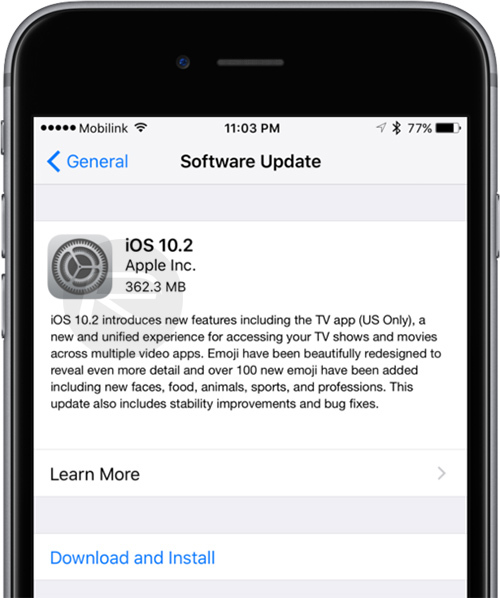 Update: Here’s Apple’s official changelog showing everything that is new in iOS 10.2 release: iOS 10.2 Release Notes / Changelog: All That Is New In One Place. Run iTunes – Plug your phone in. iTunes shows your Capacity, Phone Number and then Serial Number. Keep clicking on serial number until it shows Model Identifier. Sorry but this is an English speaking forum. Only people in the gutter an understand that nonsense. I do have an iphone 6s with ios 10.1.1 today is feb 24 2017 i tried to jailbreak it whit yalu via impactor… and although I got match portal installed … I don’t know how to get cydia in it. somebody told me to install ios 10.2 in the iphone first. but I don’t know how to do that. PLEASE HELP! Hi guys, can someone tell me, what’s the best way to JB iPhone 7plus running on 10.1? can i download from 10.3.2 to 10.2? I’m getting this message in iTunes… “Error 3194, Error 17, or ‘This device isn‘t eligible for the requested build‘ in iTunes” I assume that these images do not work.